Barry Jay Hughes is one of Ireland hardest working solo folk rock musicians. Carving a path for himself in the Irish music industry since early 2014. His Debut EP ‘This Way Up’ was released in April 2015 to critical acclaim and was quickly followed by ‘Tried & Treasured’ a mini album which was released in April 2016. Since Hughes hit the Irish Music scene he has been touring the country as well as gigging in the Uk, Sweden and Poland. 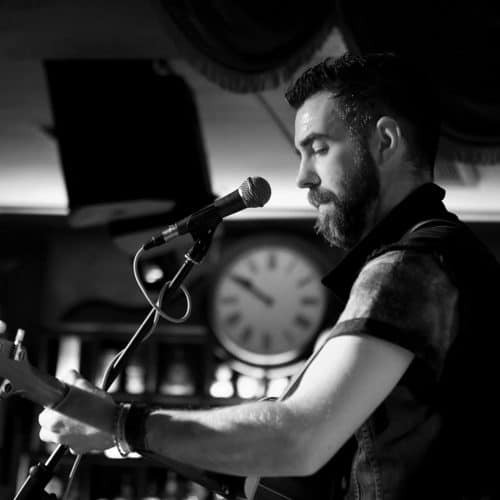 His powerful vocal has been compared to that of Eddie Vedder and Glen Hansard and he takes inspiration from other Irish artists including Wallis Bird and Damien Rice. His songwriting style is that of a story teller and Hughes always manages to draw the audience in with his solemn and quiet tones that fit nicely upon his rhythmic style of guitar playing. The live album ‘Acoustic, LIVE & Honest’ was released in Nov 2017. A pleasure to have this Man on the Musibiz website . Barry is one of my favourite Irish Singer Songwriters . He is also the hardest working one out there . I have watched him over the years and he is constantly on the go with his music . A deserving artist if there was ever one . Beautiful Singer and well delivered performances every time ..